Particularly In this year, it is clear that women in the Arab world are achieving consecutive successes and proving their worth more and more. 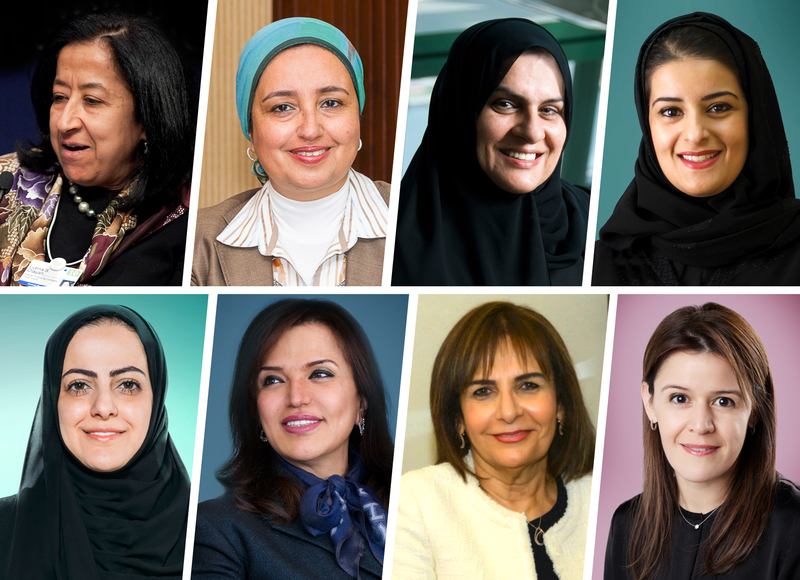 The ranking seems obvious at the level of the banking sector in the region, where a number of women with notable achievements have been promoted to high-level positions, since the sector represents 28% of our list of the most powerful Arab women in 2017. Saudi Arabia has taken the lead in terms of appointing high-level positions. Rania Mahmoud Nashar, Chief Executive Officer of SAMBA Financial Group, became the first woman to head a commercial bank in the Kingdom. Latifa Hamoud Al-Subhan was appointed as the Chief Financial Officer at Arab National Bank. And Sara Al-Suhaimi, Chief Executive Officer of NCB Capital, to be the chair of the country’s stock market, Tadawul, Since the Kingdom is also looking to join the MSCI Emerging Markets Index. The region governments have also assigned women important roles in the finance and industry sectors. The Deputy Governor of the Central Bank of Egypt, Lobna Helal, played an active role in the decision of floating the Egyptian pound exchange rate. Nezha Hayat also was headed the Moroccan Capital Market Authority, and Sheikha Bodour Al Qasimi chairs the Sharjah Investment and Development Authority. The UAE has the highest number of women in the 2017 list of the most powerful Arab women with 18 names, followed by Egypt directly with 16 names. Lubna Al Olayan who manages Olayan Finance in Saudi Arabia leads the list. This year, we also have a list of the top 10 women in the government sector, highlighting women ministers across the region. Such as: Sahar Nasr, who was formerly the Minister of International Cooperation and added investment to her ministerial portfolio to reach second place. Sheikha Lubna Al Qasimi remains in the lead. Previous articleKnow Your Hair Porosity!